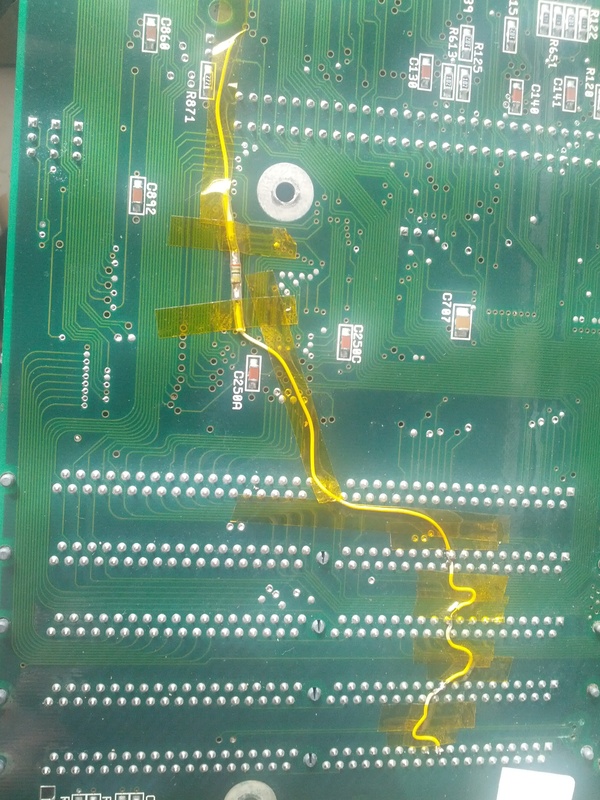 This DOES require alot of soldering. so the above link might be more EASY. but then you need to cut traces. 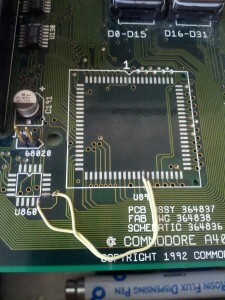 So first I had to remove the RAMSEY chip, I do that with my hot-air station. (shiny picture.. :)) nice and clean. 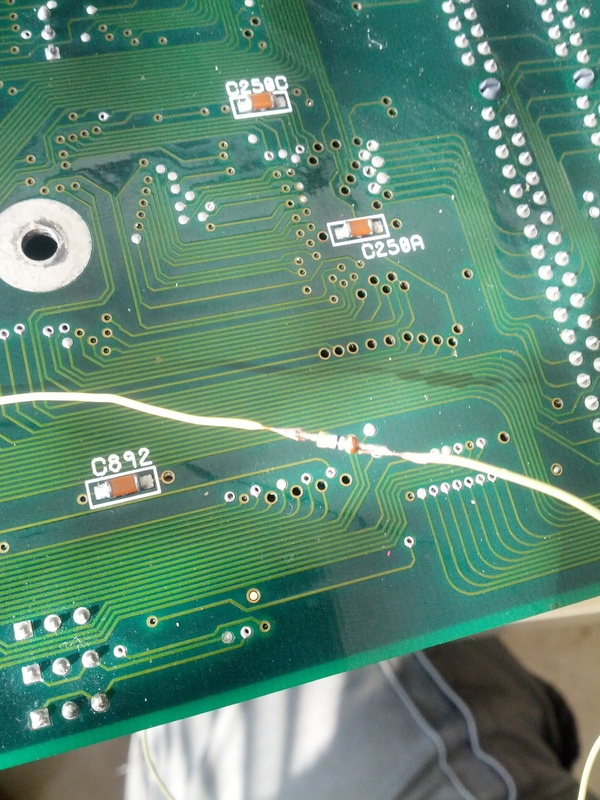 also removed the solder on the U860 spot. 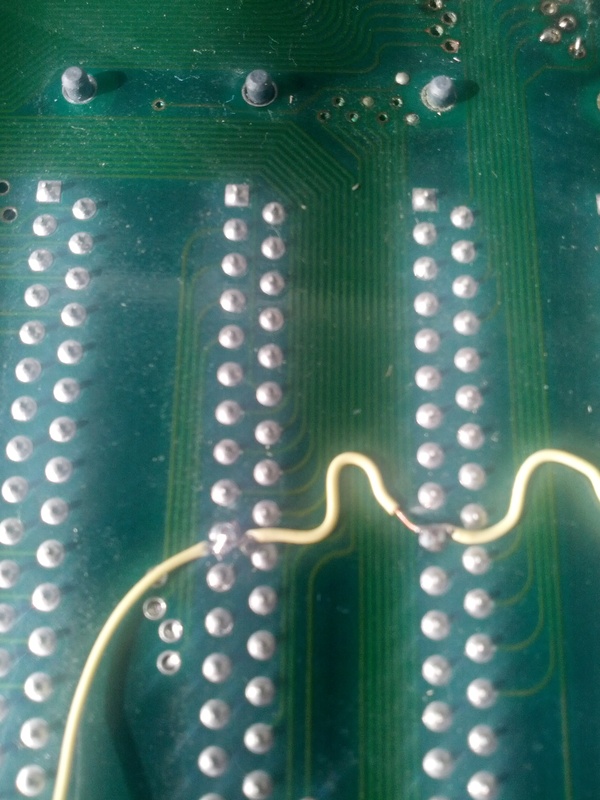 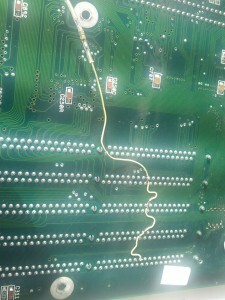 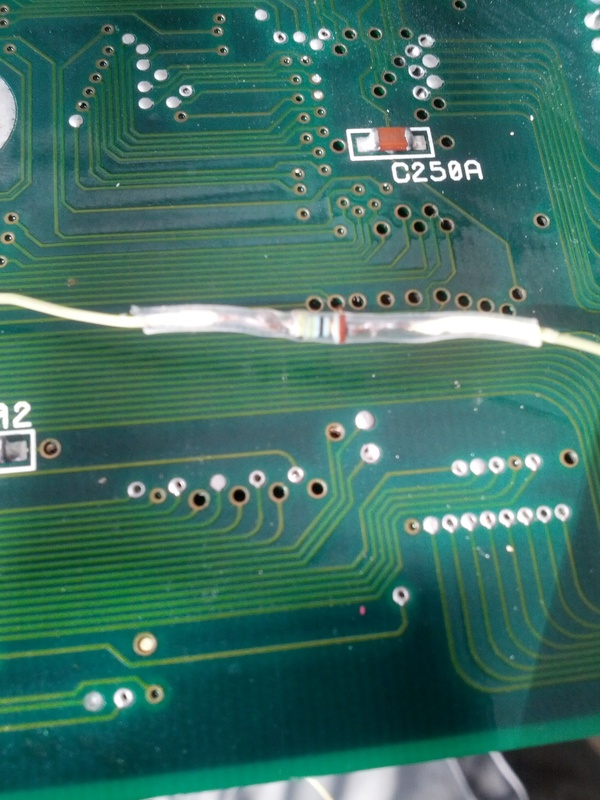 Now solder one wire from U890 pin 45 to U860 pin 14, and one wire from U89 pin 46 to U860 pin 13. 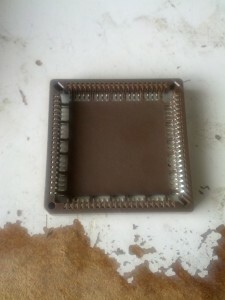 Now they will not be connected to the RAMSEY chip. 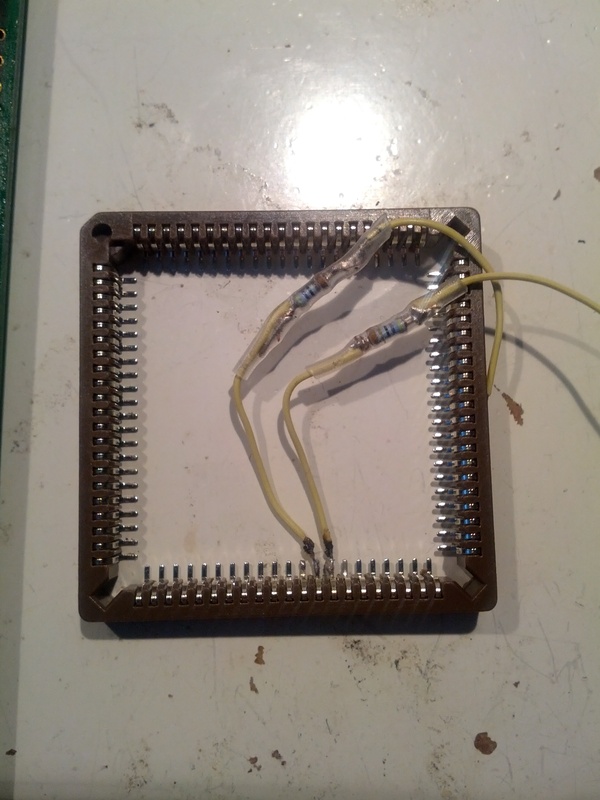 Well now it is time for the pull-up resistors needed to “fool” the ramsey chip: I decided to put them UNDER the ramseychip as I will put it in a socket. 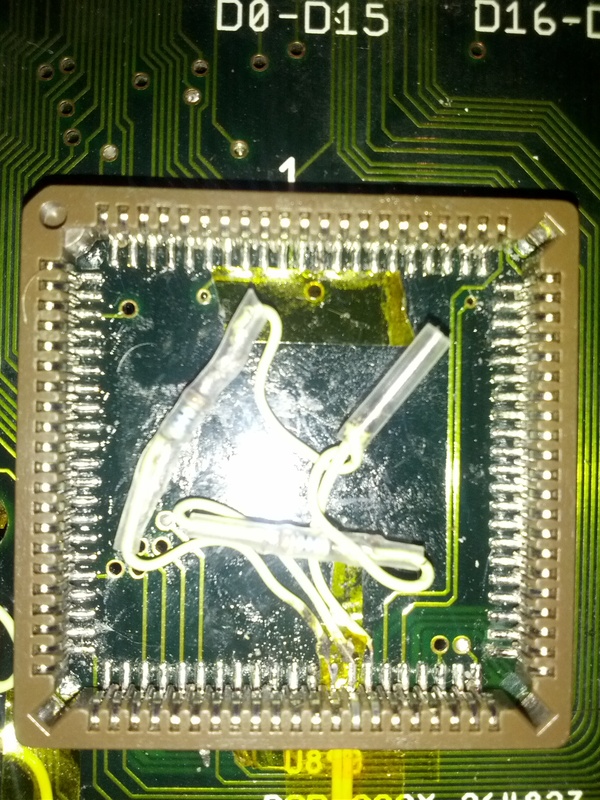 I insulate them with a shrinktube. 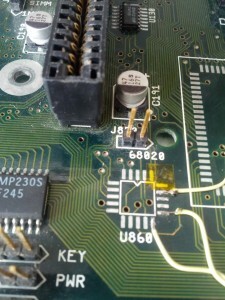 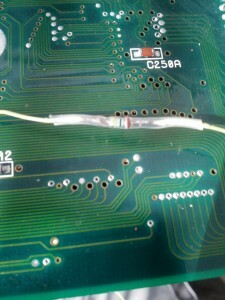 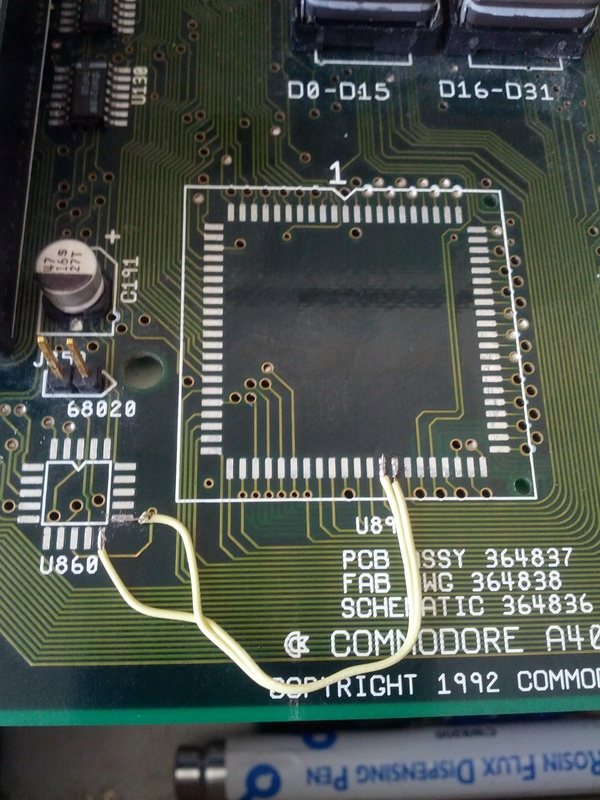 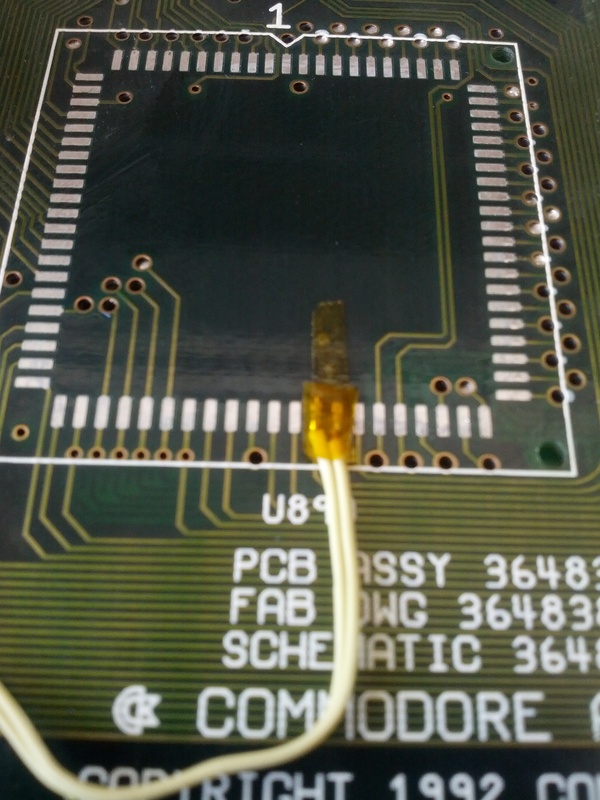 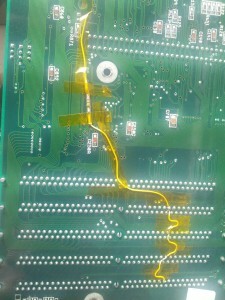 and solder the 2 loose wires to pin 47. let the resistors be even in the MIDDLE of the socket. so you can push down the Ramsey later. 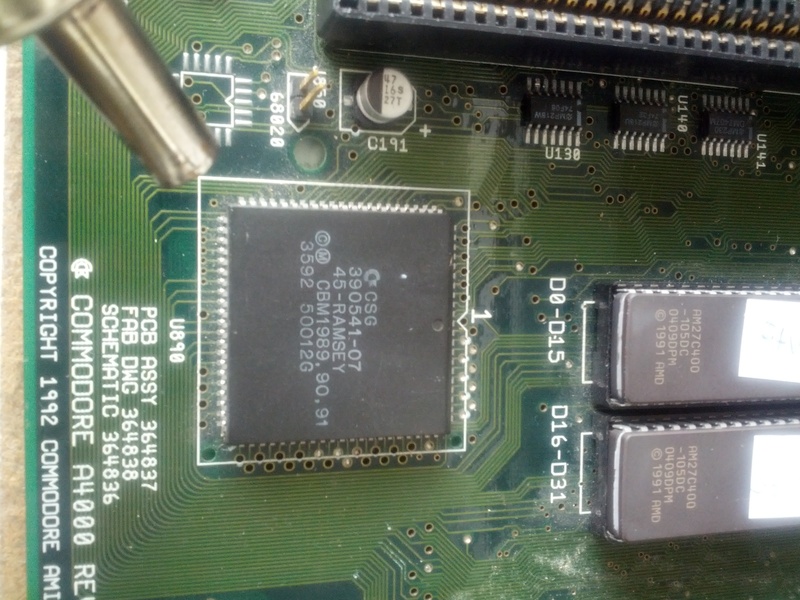 Now you need to program a GAL 16V8 with one of the codes in the file above. 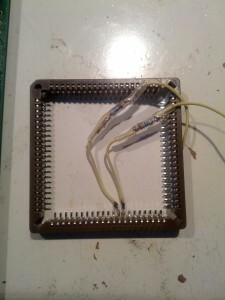 this will work with V3 of the hack. 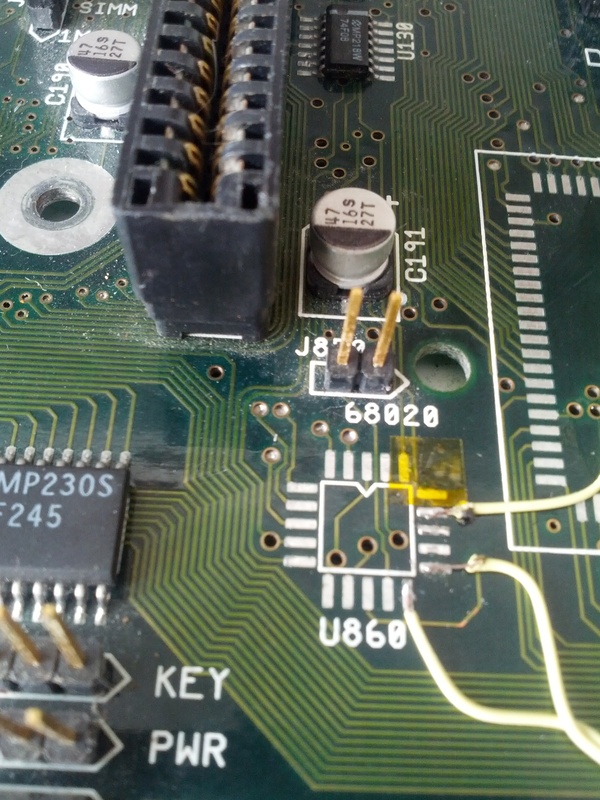 V6 should work aswell, not sure. 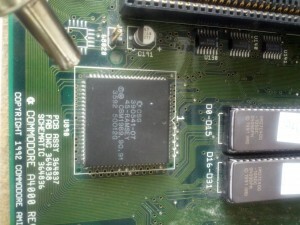 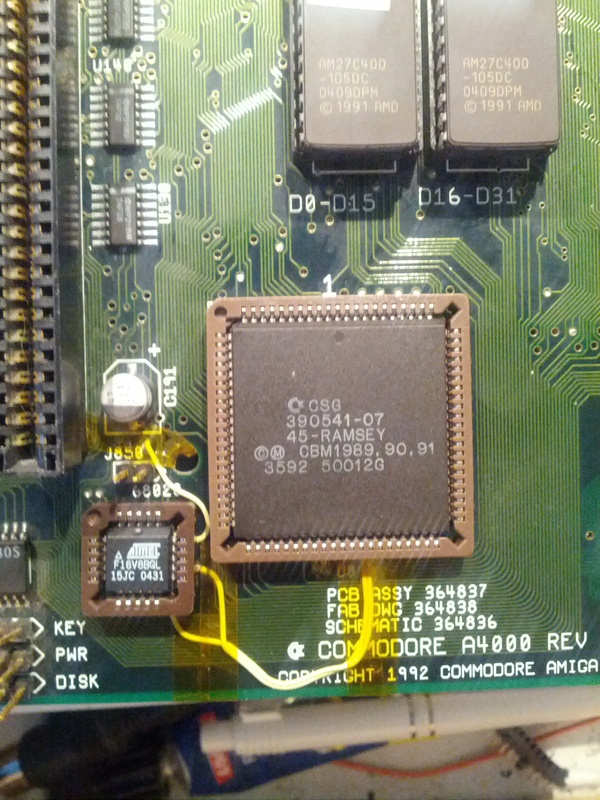 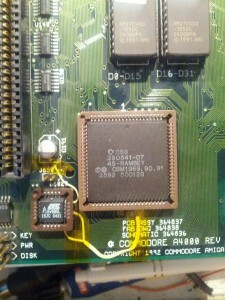 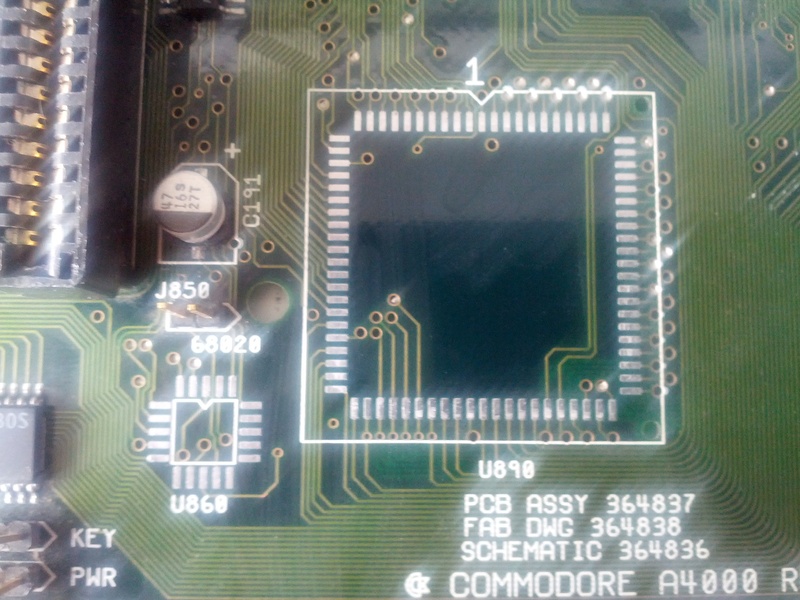 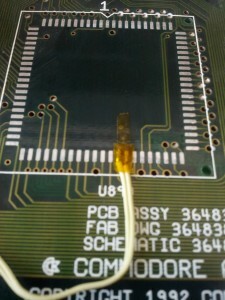 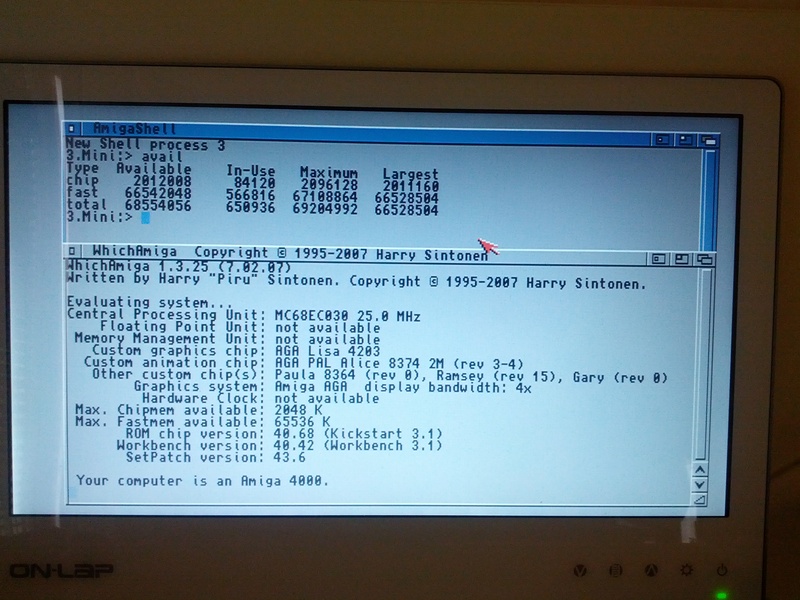 64MB of fastmem on the Amiga 4000 motherboard.